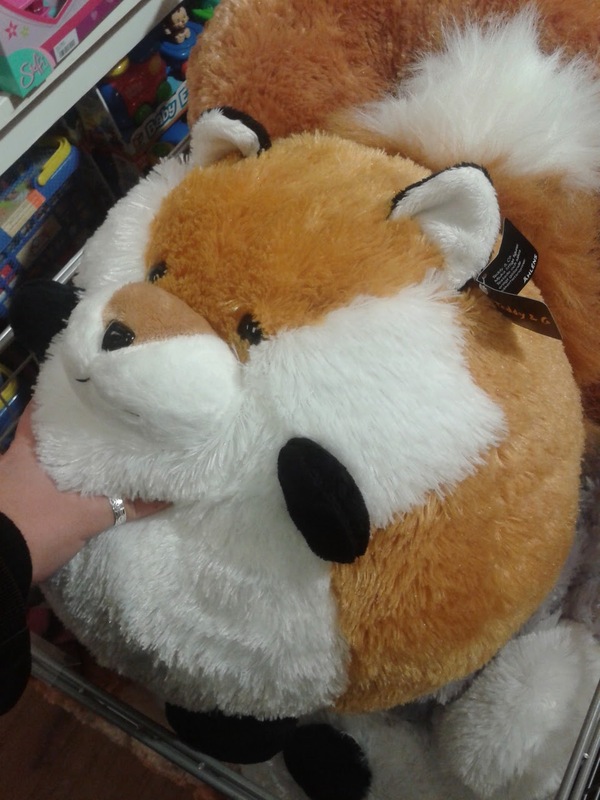 I am kinda attracted to this squishy plush fox. I have so far resisted to buy it. I'll stick it on my wish list since my bday is coming up. Hand is there for sense of scale. Wow, that fox just looks like it's the best of all possible things to squish. Maybe even squishier than Malabrigo. Inorite?! I might just have hugged it in full view of my coworkers! One of my friends has an owl version of that fox and she swears it is one of her favorite purchases. She used it throughout college as a study pillow and it got many squishy hugs from all of us during midterms and finals!